If Marie Kondo has taught us anything, it’s that we could all lose the excess in our lives and embrace the Zen. And if you’ve been watching her show, Tidying Up with Marie Kondo, on Netflix, then your once-ghastly bedroom and closet, even if only for the next few days, is the most pristine and decluttered it’s ever been. And now Le Creuset wants to help you add a little Zen to your kitchen. “New beginnings. Intentional simplicity. 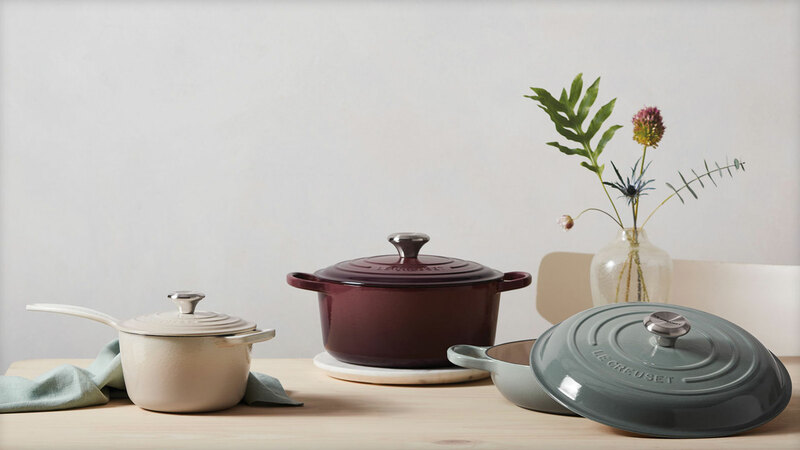 Like a breath of fresh air, our calming new hues are here,” Le Creuset writes on its website. The spring 2019 color palette includes four calming colors: Meringue, Sea Salt, Fig and Coastal Blue, and we want ‘em all. Fig is our favorite. It’s a comforting and complementary deep violet with subtle shades of brown. All four colors are available on Le Creuset’s website in a variety of cast-iron and stoneware items, including skillets, raisers, woks, Dutch ovens, Balti dishes, saucepans and more.